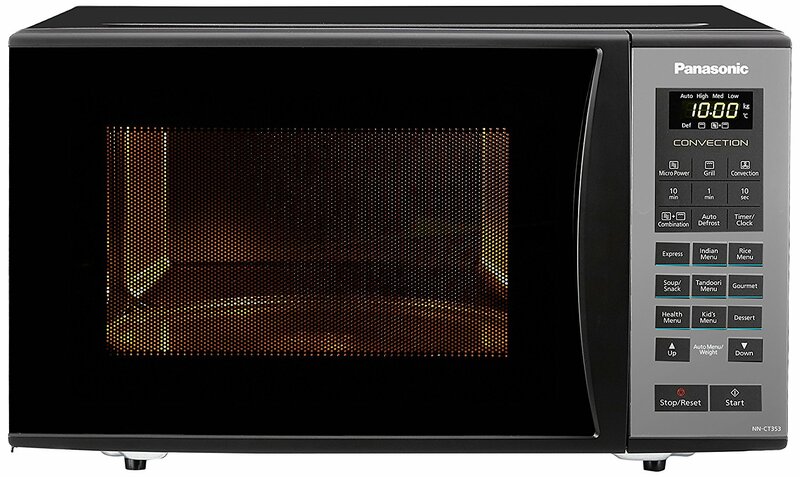 Panasonic 23 L Convection Microwave Oven (NN-CT353BFDG, Black Mirror) comes with multiple functions to provide you with great cooking ease. It has preset cooking menus, which are perfect for busy professionals with very less time. 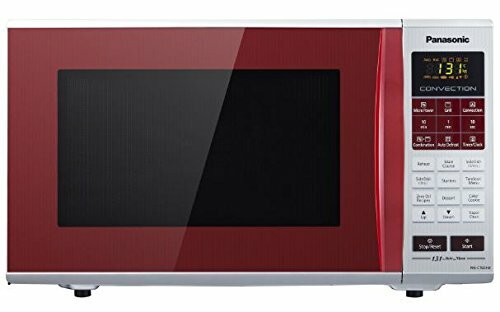 It comes with great time function that facilitates carrying out other works while cooking foods in this Panasonic microwave oven. Further, it comes with 23-liter capacity that is perfect for a family with 4 or 5 members. 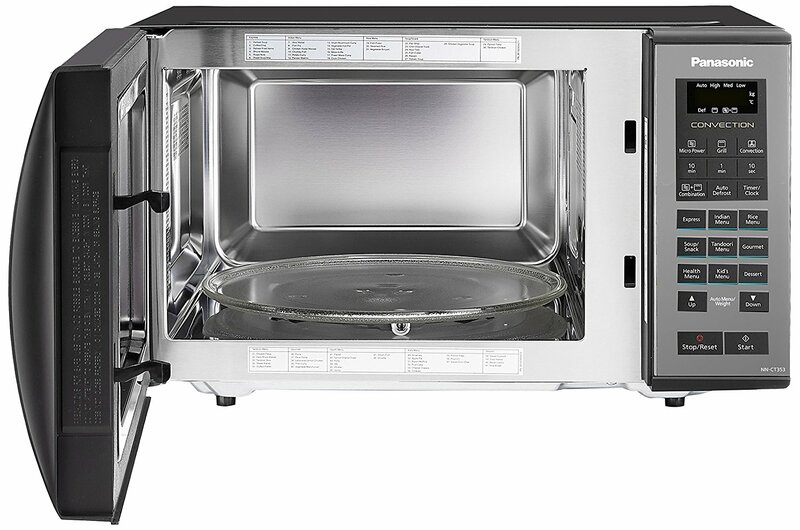 This Panasonic convection microwave has a glass turntable that is very helpful to distribute heat evenly. 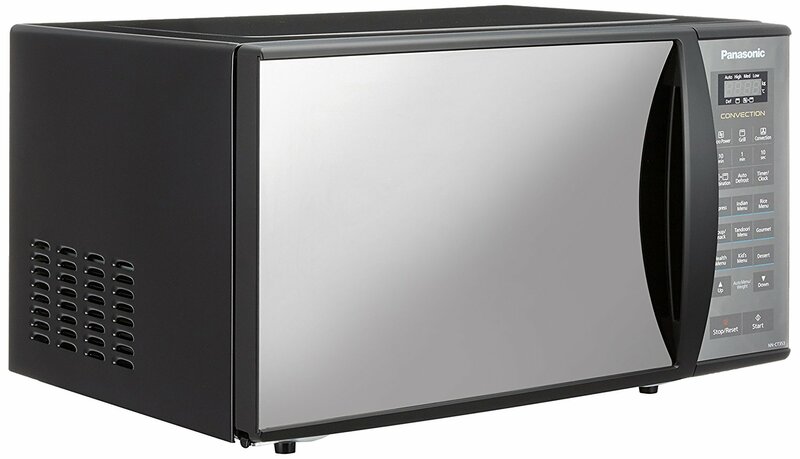 Further, this oven has gotten a stylish look in black color. All the buttons are touch sensitive for all your cooking ease. 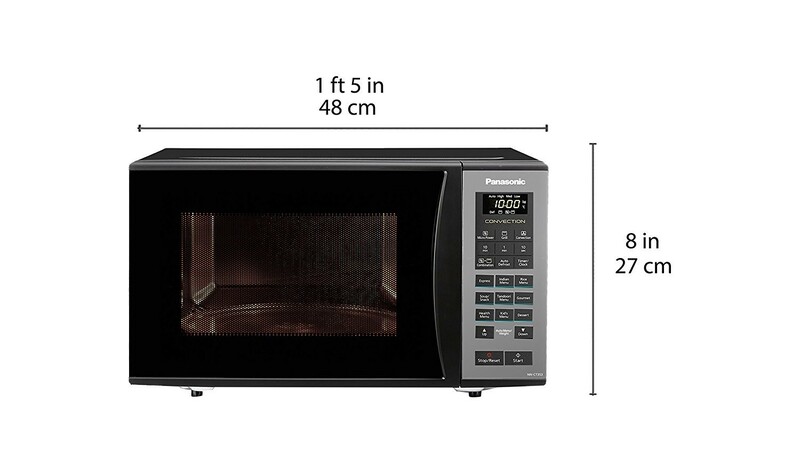 This Panasonic 23 L convection microwave oven (NN-CT353BFDG, black mirror) features a display panel on the top right corner of the unit. The overall size measures 48.26 by 29.21 by 34.29 WHD. 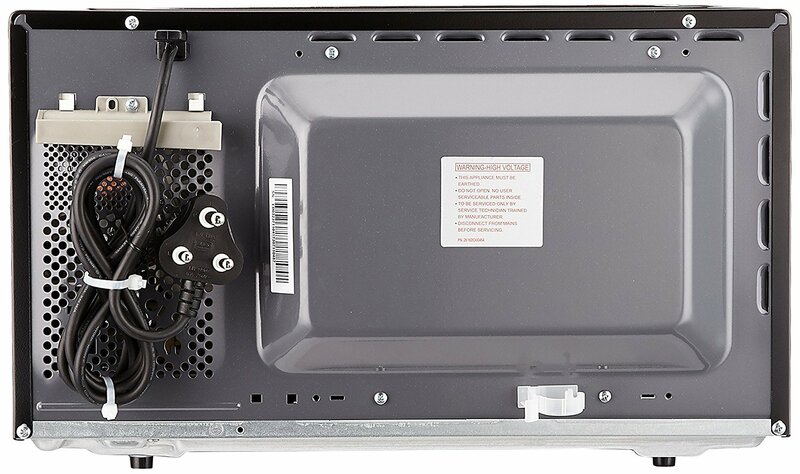 NN-CT353BFDG comes with 5 power levels giving you the flexibility cook foods on low or high power levels as per your preferences.